The squeezable tube of paint was invented around 1840. It made painting outdoors possible. You just packed up your materials and hiked to whatever you wanted to paint. 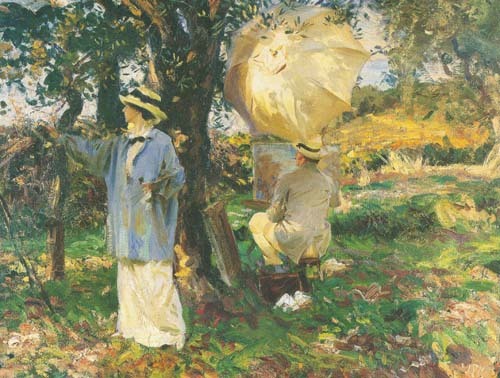 By the 1860’s painters were turning the art world on its head by painting “en plein air” (in open air) and observing the vivid colors of nature and how light changes. They were ridiculed and were called Impressionists. It is a pleasure to paint en plain air. 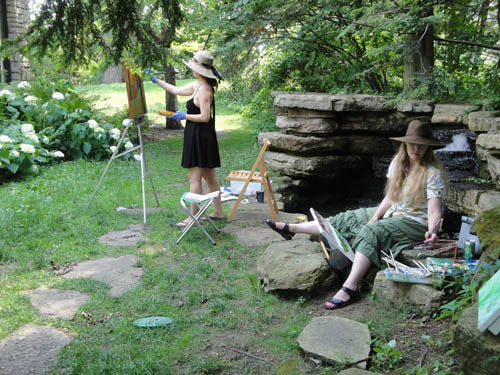 In my Impressions of Landscape class we keep the practice—and pleasure—alive. Some of my students take a half-day off work and claim it’s the best therapy. Above, two students at the Evanston Art Center.